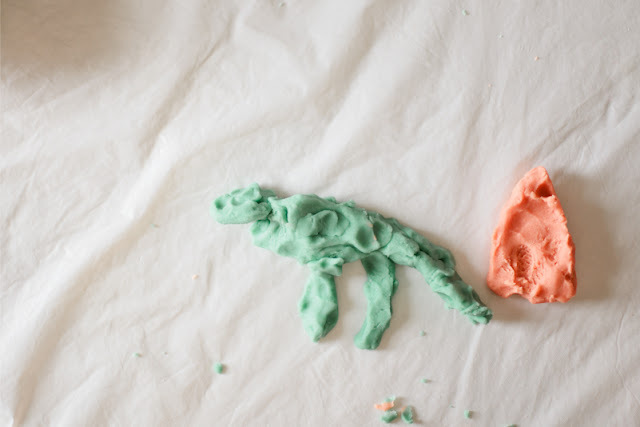 Don't Mind if I Do: play dough, please. One of my goals while the Hubs has been away has been to have a "fun activity" with the kids every day. It is a challenge to constantly have the kids be entertained especially with their varying interests and their differing mental and physical capabilities (even though they are so close in age). We normally read books, go to the park, do puzzles together, sing songs, go swimming, go on walks, and watch movies, but sometimes it's nice to do something a little different and change things up for them. 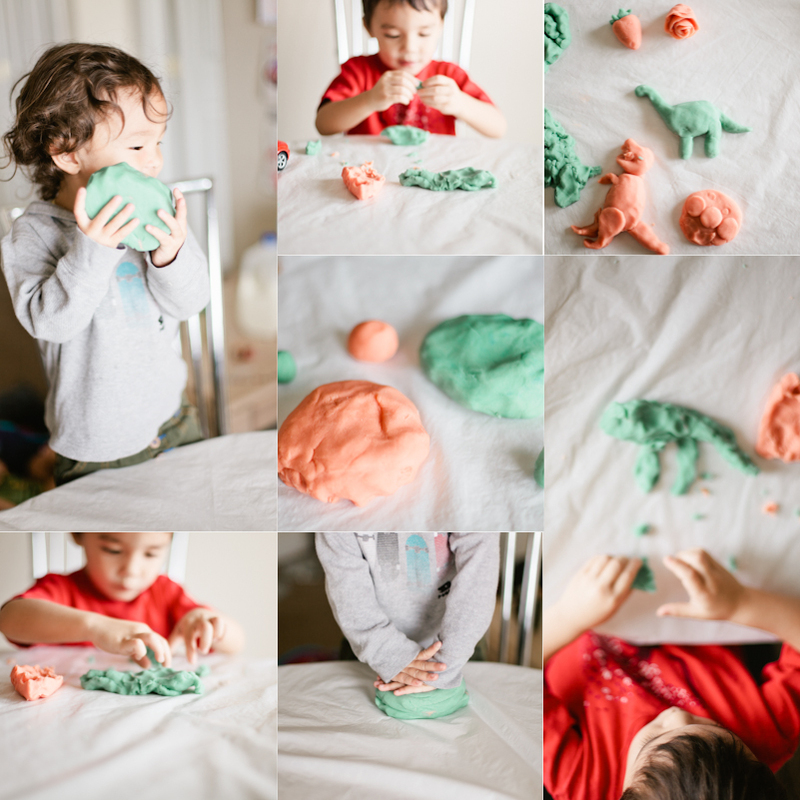 Yeah, play dough - creative, I know...It's something that they've certainly played with before and are familiar with, but they hadn't done it in a while AND I've been wanting to make it myself for a while now. Well, it was a hit with the littles and so easy to make! Not to mention how it's practically edible, made of things found only in your kitchen, so no worry of accidental ingestion (especially when it's vanilla scented!) or having it around the baby. Whisk dry ingredients together in a pan. Pour water and oil into dry ingredients and combine well. *vanilla and food coloring may be added here* Cook over LOW heat, stirring constantly using a wooden spoon or spatula. Once the dough starts to pull off the sides of the pan, take off heat and place dough on a well floured surface. Knead in extra flour if the dough feels sticky, add oil if it's too dry. 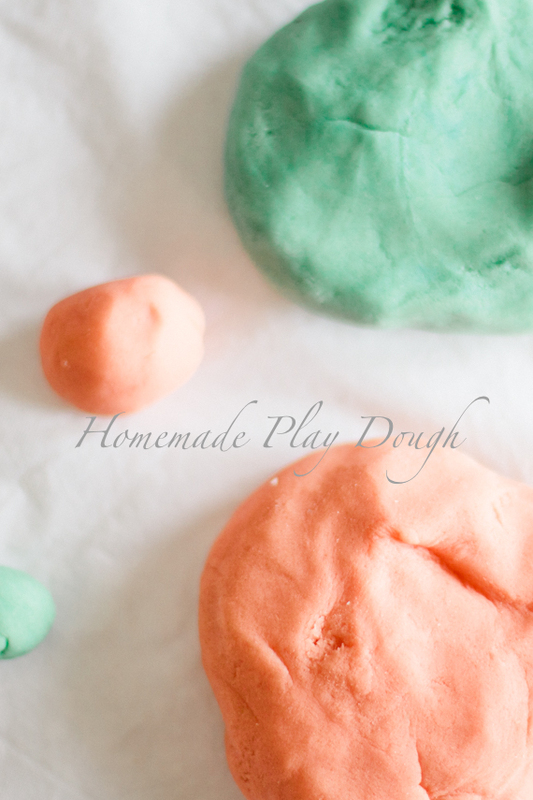 *You can add the food coloring before you start cooking, or I added a few drops after I split the dough to make two different colors. Knead it really well until the color is well incorporated. What are some of the activities you like to do with your kids? How do you keep them entertained?? ?